Your LinkedIn profile is an important piece of your online presence. It can help you to make a strong impression on those that view your profile and can entice professionals to contact you. To have your profile reviewed by one of our counselors, stop by CCE for Quick Questions or schedule an appointment. What sections must I have to get started? Photo should be a focused close-up of your face. Do not use a photo where you are wearing sunglasses or a hat. Include school, degree, and field of study. You can receive recommendations from professors, which can connect to this section. You can also add a link to videos, images, documents, or presentations to showcase any school-related work and projects. Under each new position, list the bullet points from your resume. You can also add a few extra points if you’d like since you don’t have the same page limit concerns as you do on a resume. Use dashes to begin your bullet points for easy scanning. You can post presentation materials, writing samples, videos, and other industry-related materials to highlight the work you completed in each job. Claim your public profile Url for your name. Enter first name last name, enter a dot or dash in between, or a number at the end of your name until you find a URL that has not been taken. Add your LinkedIn Url to your resume, email signature, or business cards if you have them. I’m ready to take my profile even further. Now what? What do you do or want to do? Like with your headline, include keywords by reviewing job descriptions and other professional’s profiles. You may add any presentations, documents, projects, or videos to this section as well. If you have a particular industry of focus, select your field from the drop-down menu. Use this tool to identify relevant skills for your industry. Add up to 50 skills to your profile (we recommend at least five). As your network endorses your skills, return the favor (if appropriate). Skills with the most endorsements get listed first. Add voluntary organizations, roles, and causes as well as a description of your work. Now located in “Contact and Personal Info”, this is a great place to link to blogs and other professionally-focused websites. You may wish to include important websites in your Summary section which will be more immediately visable. Join up to 50 professional and social groups to highlight your interests and help you to expand your network. 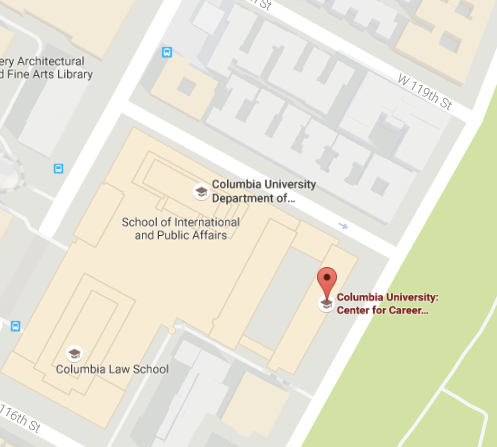 Check out the more than 300 groups affiliated with Columbia University. A couple of examples include Columbia Career Connections and Columbia Alumni Association Network. Other helpful groups include Professional Associations, such as the national Association of Mechanical Engineers and Professional Writers. It is ideal to have at least one recommendation for each of your most recent work/project experiences. Your recommender must be a LinkedIn member. Customize the recommendation request to share why you are looking for a recommendation and what you would like them to highlight. If you have worked with the person, you can recommend them, and then ask for a recommendation in return. * Be sure to use watermarks over portfolios and other information that you want to remain proprietary. I’m a LinkedIn All Star! What else should I know about navigating the system? In general, you should only make connections with people who you have a personal or professional relationship with. Always customize connection requests. This adds a personal touch and will remind the person who you are. Begin by connecting with family and friends. Connect with classmates and professors, as well as with employers and colleagues at internships and jobs. The more first degree connections you have, the more second and third degree connections you will be able to access. Continue to maintain important LinkedIn connections by reaching out periodically to check-in and add new ones as you meet people at networking events, future jobs, etc. You can remove connections and the person will not be notified. Having at least 50 connections increases your profile strength show on the meter on the right side of your profile. Unlike Facebook, you want your profile to be as open as possible so that potential employers can find and reach out to you about opportunities. You can control how people view your information and status updates in Settings.